If you have the goal of changing your lifestyle into making useful things, maximizes recycling, minimizes waste, reduces consumption, and ensures that products are made to be reused and repaired to sell to make a profit. There will be an event with eye-catching designs, inspired crowd and surroundings, refillable stations, ethically made clothes, locally sourced food and vegan skin care products. #AllTheGoodStuff! 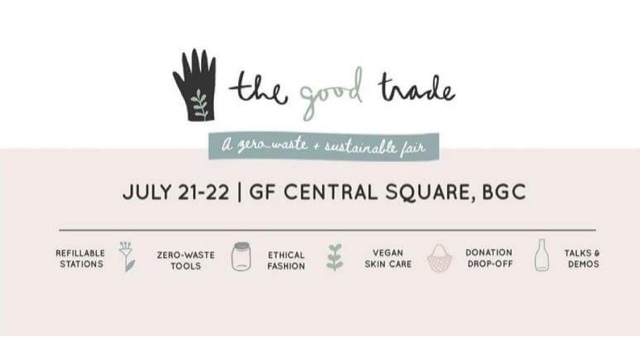 Join The Good Trade, a zero-waste + sustainable fair at Central Square, 5th Avenue cor. 30th Street, Bonifacio Global City, 4216 Taguig on July 21-22, 2018. In The Good Trade, we believe that we can live a life that's good and does good! We made it our mission to gather brands with the same philosophy so that consumers can make ethical and zero waste purchases without fuss. 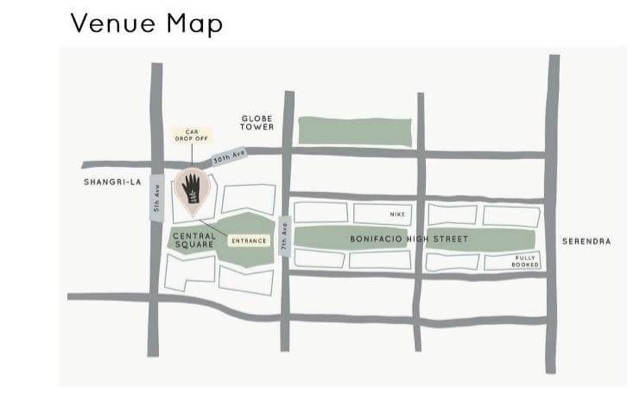 In line with our goal of making this movement accessible to all, our rental rates are 50% lower than other bazaars in BGC/The Fort area. You'll be part of a community of passionate individuals and brands that create positive social impact. 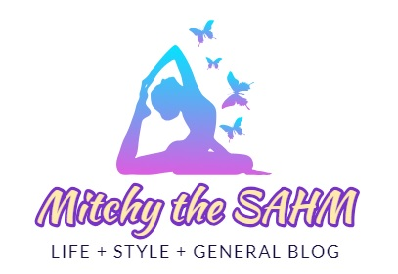 We seek to connect, inspire and empower consumers to live a lifestyle with simplicity and honesty at its core.We're working on fair features that are much more exciting than just buying & selling. Think:interactive photo booth, talks and open demos. As an added bonus, YOU have an option to sponsor a talk or an open demo at The Good Trade.Sharing in The Good Trade philanthropy means to pay it forward in our community and the world. We'll have repair stations for those items you cherish and donation stations for those you need to dispose!